This isn't your average Android news. A new era begins. My, oh my -- how far we've come. Six short years ago, I started an experimental little column about an up-and-coming operating system called Android. At the time, Android was but a niche player in the smartphone game, with a mere 12% of the U.S. mobile market. Apple had 25%, for comparison, while BlackBerry -- then still known as RIM -- held the top spot with 41% of the pie. The hot Android phones of the day? The original Motorola Droid, of course. There was also the Droid Incredible, the HTC EVO 4G, and the inaugural Nexus One. The then-gigantic-seeming 4.3-in. Droid X would come out guns a-blazin' that summer, as would the very first (!) Galaxy S -- which, as you may recall, was actually known in America as the Samsung Captivate, Samsung Epic 4G, Samsung Vibrant, or Samsung Fascinate, depending on which carrier you chose. It's hard to convey just how hard it was to get people to take Android seriously in those days. Back then, writing an analysis about Android's inevitable dominance in the mobile market was met with jeers, sneers, and plenty of condescending comments. Most folks were still treating Android like a flash in the pan, a small-scale effort that could never touch the rapidly rising Holy Grail of Apple -- and those of us willing to look past the platform's humble start and toward the bigger picture forming around it were virtually burned at the stake. "Growing at a higher rate means nothing when you're comparing to sales that are next to nothing," one commenter told me in response to a 2010 column. "Once Apple opens their phone to other carriers, competitors will get eliminated almost entirely," another prophet proposed. "How long can Google keep updating Android and releasing versions at zero cost to the companies making the phones or to consumers purchasing them?" yet another naysayer said. I'm telling you: Recent as it may seem, it truly was a different time. Heck, even my then-editor at Computerworld -- who quickly became one of my most vocal advocates and supporters -- told me she was skeptical that such a small niche could create a successful and long-standing column. Thankfully, she was willing to give it a shot. It's positively mind-boggling how much things have changed. If there's one word I'd use to describe Google's Android operating system, it's power. Power to customize. Power to multitask. Power to install any application you want, even if it's (gasp!) pornographic. Put simply, Android is about having the power to use your device the way you want -- not the way some guy in a black turtleneck thinks you should. The references aren't the only thing in that explanation that now seem dated. Sure, Android is still packed with power, but these days, the "iPhone vs. Android" argument has become meaningless and stale -- just another tired cliché that's been played to death. Our discussions here have evolved to focus less on the sheer power of Android and more on its nuances -- the context that puts everything in perspective and helps us figure out how this stuff fits into our day-to-day lives. It's no longer about power, in other words; it's about intelligence -- a slower-paced and more diverse mix of real-world advice, in-depth insight, and original analysis. It's about doing something decidedly different from your average Android news -- more of a side dish, so to speak, than a main entree. And it's time for a new name to reflect that. So what can you expect moving forward? In short, more emphasis on the best qualities you've come to know from this column, along with a few new twists that'll fit equally well into the aforementioned philosophy. The overarching principle, as it has been for a while now, is that this isn't your average Android news. The one thing you'll see less of compared to the past is hands-on device coverage. After five years of personally reviewing nearly every major Android phone and Chromebook to come out in the U.S. (not to mention quite a few tablets and smartwatches), I've decided to step back a bit from that stuff as of this year. As you've probably picked up on, the hardware itself just isn't as exciting to me as it once was. As far as I'm concerned, it's after you get a device in hand that things really start to get interesting -- and so that's what I'll be focusing on more frequently from now on: the broader themes of Android as a platform and how we can make the most of the gadgets we have in our lives. Finding ways to live a life that's enhanced by technology instead of controlled by it is a theme I enjoy exploring, and it's one you'll see me thinking about more and more in the coming months. These days, information is everywhere. 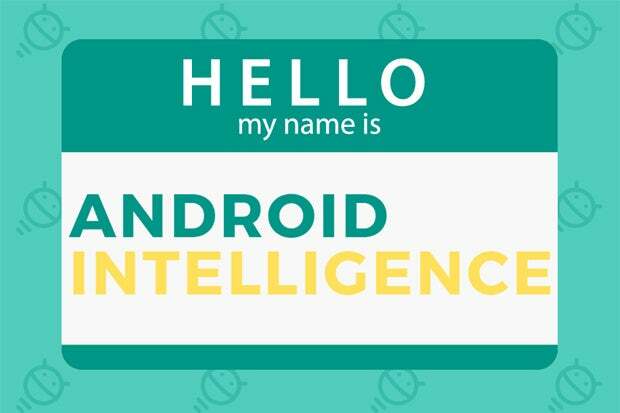 Android Intelligence is all about context -- about putting the pieces together and making sense of the big picture. It's about going beyond the buzzwords and finding the human side to this weird, wild world we live in. It's about bringing something fresh and new into the equation -- something that serves as a zesty and flavor-filled complement to the news and reviews you already consume. I hope you'll join me for the next phase of our journey. Believe me when I tell you: I couldn't be more excited for what's ahead.